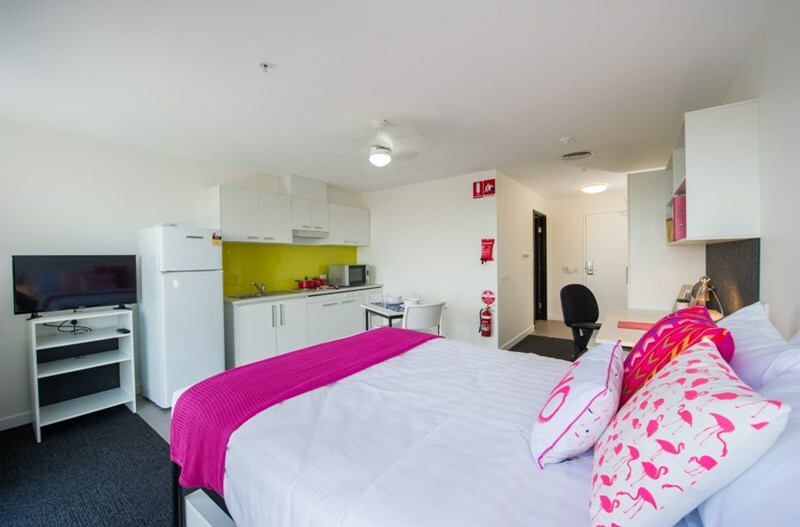 Luxury student residence accommodation on the doorstep of VU's Footscray Park campus and just a short walk to the Footscray Nicholson St campus or the railway station to reach all other campuses. The city is just two stops away. Bus transport goes past the door. On site there are outdoor leisure areas with bbq, theatrette and well equipped laundry. Swipe card technology will keep you safe and the staff and resident assistance are there to support you. Various length of stay contracts are available. Price shown is for 12 month lease in Queen/Accessible size studio. 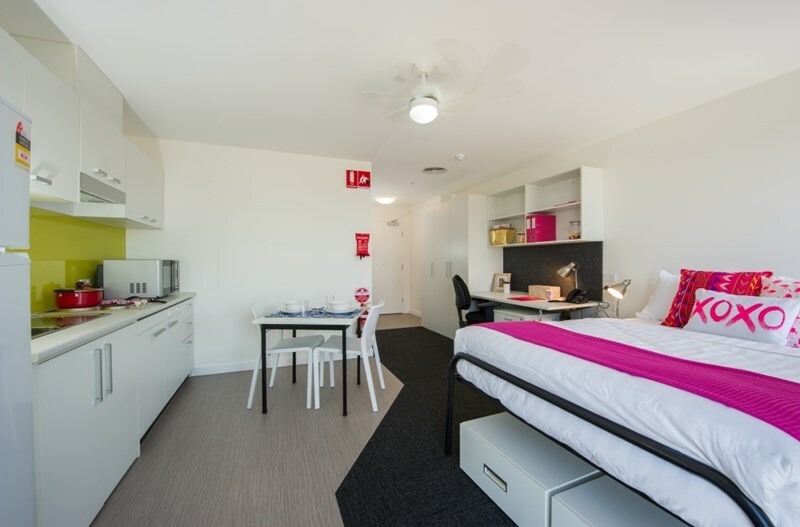 Your self-contained apartment, whilst designed for mobility and impaired person, is large and spacious, ideal for postgraduate students. 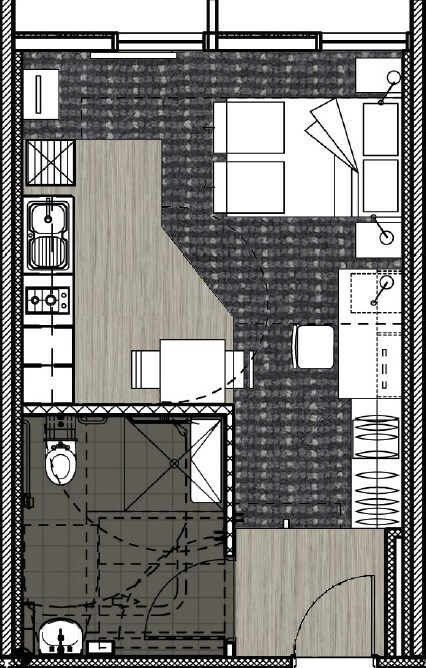 It includes a dining table, modern kitchenette with fridge, cook top, range hood exhaust and convection microwave. 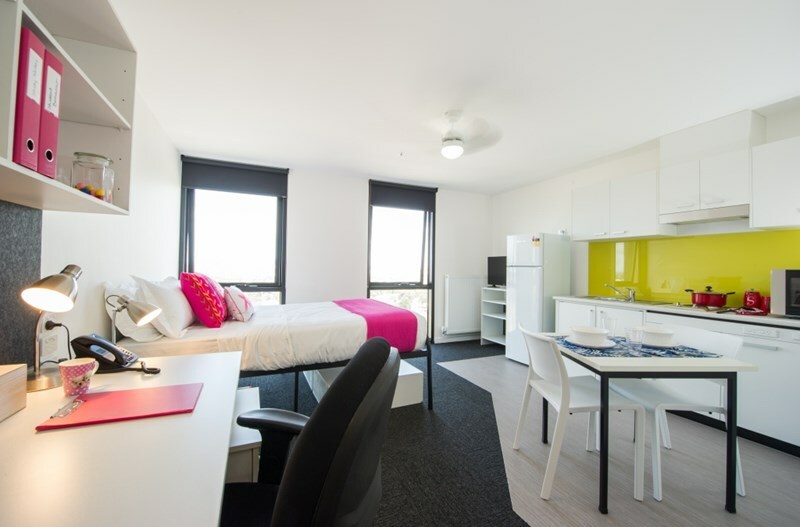 The room also includes hydronic heating for the cooler Melbourne winters, and a fan to circulate the tempered air in the warmer months, a comfortable queen bed, wardrobe, shelves, study desk, study chair, lamp and pin-board, with data port, and fitted with modern blinds. Don’t forget you have an electronic key right to your bedroom door. See our website for more information and to book - https://unilodge. com. Au/lodge/vu/.